On September 2, the Law on occasional activities performed by day workers has entered into force after being published six months ago. Employment procedures are costly and burdensome for agriculture businesses hiring occasional day workers in high season. This leads to informal employment in the sector and does not answer to flexibility demands. 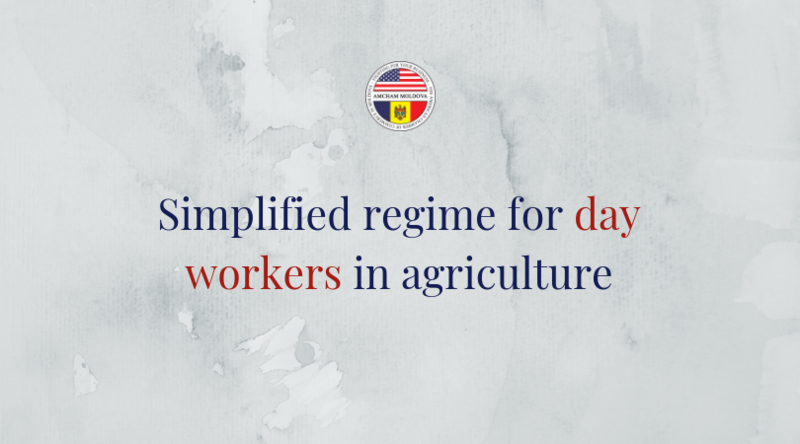 The new law provides a simplified regime to hire workers for agricultural activities. (3) a streamlined register is held for evidence purposes. Income tax is withheld on day workers’ retribution and paid by the beneficiary company on general basis under the Tax Code. This means that the newly voted flat rate of 12% will be applicable to such income after October 1, when this summer’s tax reform will come into force. Back in 2013, AmCham HR Committee started the journey on convincing the Government that such law is needed and, since then, has been instrumental in drafting and promoting this initiative. What if I have questions? Please send them to info@amcham.md or call us at +373 22 211 781.